Babblings of a Mommy: Stella McCartney Kids. In case you don't know, Stella McCartney is launching her own kids collections this November! If you're a fan of her GapKids collections than you'll be stoked to hear that her line will include a mix of modern and classic pieces such as jackets, rainboots, jeans, onesies, and peacoats with sizes ranging from 0-12 years and priced from $25 to $195. Want to take a sneak peak of her super cute collection? 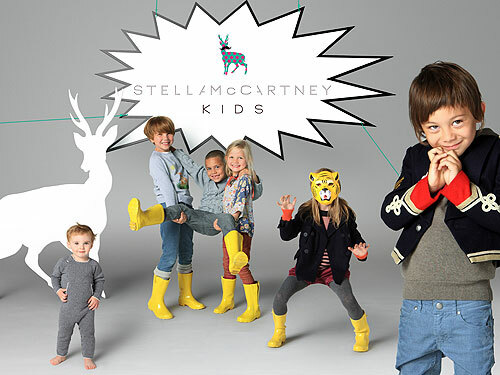 Go to www.stellamccartneykids.com for a the promo video! Are you a Stella McCartney fan? Do you buy her Gapkids Collections? Let me know!